As one of the early e-commerce entrants into the field of healthcare, WebMD originally had the enviable position of being able to set the market prices. As competition increased, WedMD was faced with the dilemma many market leaders face, i.e. maintain margins but lose market share to lower cost competitors or maintain market share by lowering prices and reducing margins. WebMD asked SNI to help its people learn how to negotiate more effectively so that they could maintain business without lowering price. WebMD came to SNI to help them create a strong foundation in negotiation skills for their sales team to help them close more deals, faster, and at higher margins. The first step was implementing SNI’s comprehensive negotiation skills training for the entire sales force of approximately 200 people. The process started with the core The Power of Nice® programs to create a strong fundamental skills base for the team. SNI then created customized Preparation Planners that addressed each team’s unique situations and challenges to ensure applicability. Tracking and measuring the negotiation skills programs showed their sales force was better prepared to make deals that were profitable. 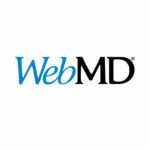 WebMD tracked many deals that were successful because of the Power of Nice® principles. For example, one deal that was measured would, according to the sales person and his manager, not have closed if not for the SNI process and preparation that was used to win the sale. As described by a participant, WebMD’s client had given a “we won’t budge” stance on a $2,000,000 deal and WebMD was able to get $150,000 over the “no budge” price. The total calculated Return on Investment from the training was 242%.